A piece fell off my car! This morning when i went to drive my car i reversed out and there was a grinding noise. I then drove forward to see if it was perhaps some ice (very cold here) there was the a clunk and a circular piece of metal fell off about 7 inches in diameter. I also noticed that there were bits of rubber on the road beside this like they had been gouged out. 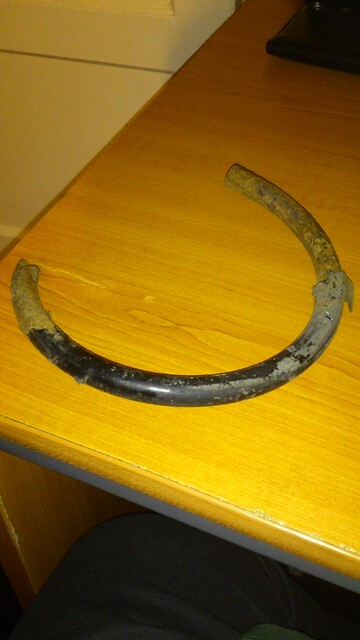 That looks like a piece of your coil spring. just googled it and it looks like thats what it is. thanks mate! See which corner of your car is sagging. It looks like a rear one.